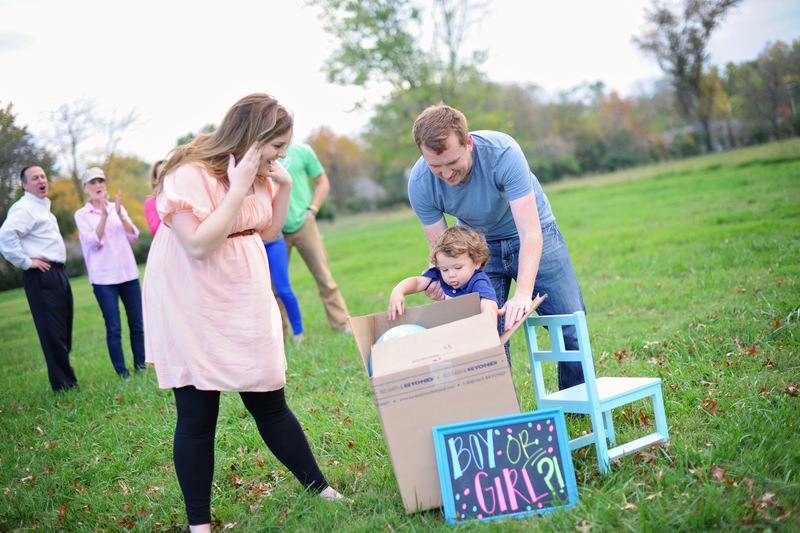 Choosing Joy: 19/20 weeks and Gender Reveal! 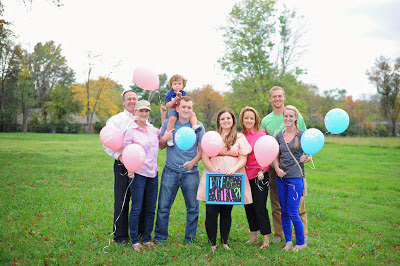 19/20 weeks and Gender Reveal! Thanks to my friend Rhyanne for this beautiful picture! 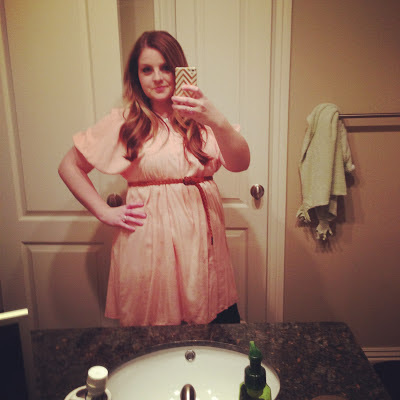 Total Weight Gain/Loss: I've broken even according to my dr's scale this week! Gender: We found out past Tuesday what baby is... scroll down to see! Movement: Yes, lots and lots of movement. Symptoms: Horrible pain under my ribs on the right side that has been going on about a week. I had an ultrasound of my gall bladder and some labs drawn this week and everything is looking okay but I just want an explanation of the pain! 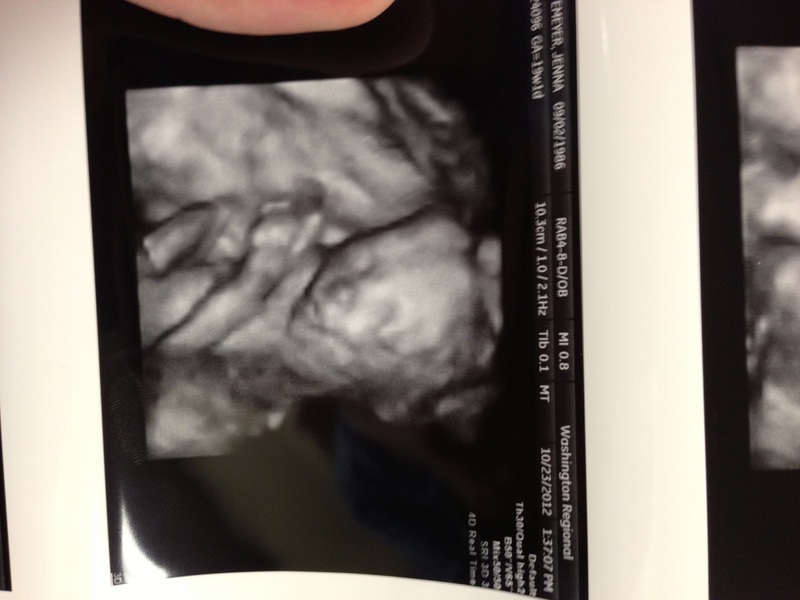 Best Moment this week: Seeing this sweet baby on Ultrasound. We got to see it on 3d ultrasound, which we didn't have with Hudson, I almost cried because it was so cool! 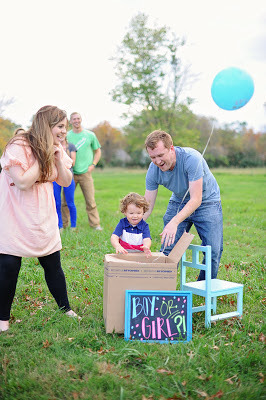 And of course of gender reveal pictures were so fun too! We had Hudson open the box... is that blue?!?! I LOVE this picture of our family and their faces when they first saw the blue. From L-R Tony (my FIL), Janet (MIL), My mom, Jordan (SIL) and David (BIL to be in 1 week!) My dad was out of town on business but he was my first phone call! And my brother had to work, but he was my first text! Here is our sweet boy! I didn't think it was possible but he looks so much like Hudson and even more like Bryan than Hudson does! My boys are so handsome like their daddy! A few days before we were supposed to find out Bryan just asked me if I really wanted to find out, and I told him I did so he agreed but he wanted us to be able to find out with our family. I was all about it. 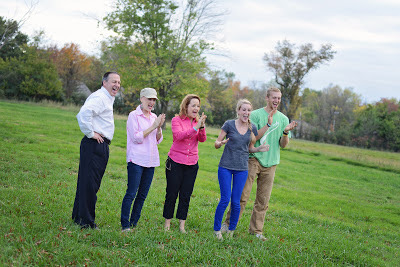 Our good friend, Rhyanne Ketron, agreed to come out with us and capture our special moment. 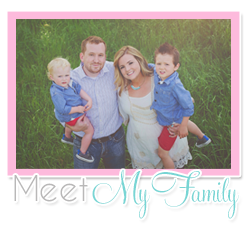 We are SO thankful for Rhyanne and she did a GREAT job! I originally saw an idea on pinterest about doing a colored powder reveal, but I didn't think about it far enough in advance and tried to make the powder but it didn't end up working out... so we went with plan B about an hour before we were supposed to find out. 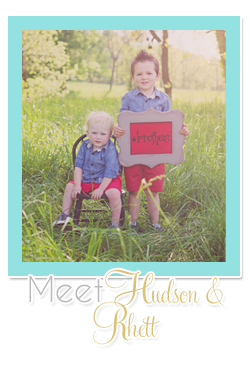 I am sure you've all seen this idea on pinterest too, but I just love it and wanted to be able to involved Hudson. Bryan and I went to the Ultrasound at 1 pm and had the Ultrasound tech print the gender pictures and put them in an envelope without us knowing what baby was. It was funny because she had to turn the screen away from us while she did it and then when she handed me the pictures she accidentally gave me the gender ones and then realized it and ripped them out of my hand before I could see them, ha! A side note, when she was doing the ultrasound the baby was SUPER active and it took her a long time to get a good picture of his heart. My nerves were crazy and I am sure my BP was out the roof. 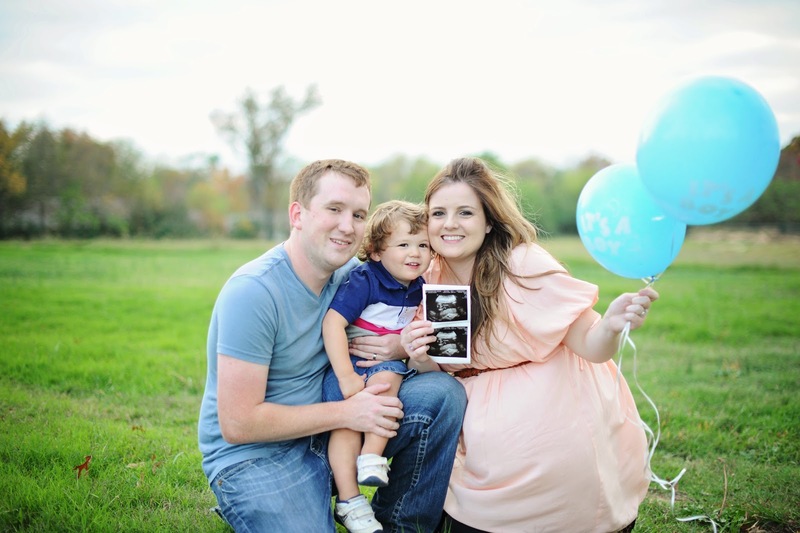 Hudson's kidneys were enlarged at his 18 wk ultrasound so we had to go back two more times to have them rechecked. They ended up being totally fine but I was freaked out she was going to find something wrong with this baby... it wasn't until she said "I want to print some extra pictures for you because I don't think you're going to have to have another ultrasound" that my heart settled. I thanked her so much for saying that since they're not supposed to tell us the results. So when we left the office, I took Bryan back to work (and he took the envelope with him because he didn't trust me, ha!). Hudson and I went to the church and Janet helped us blow up the balloons. Then we met everyone out in the field and gave the envelope to Rhyanne, who was the first to know!, and she put the right balloons in the box. It was such a fun way to find out! After we did the pictures we all went to On the Border to eat together and talk baby names! 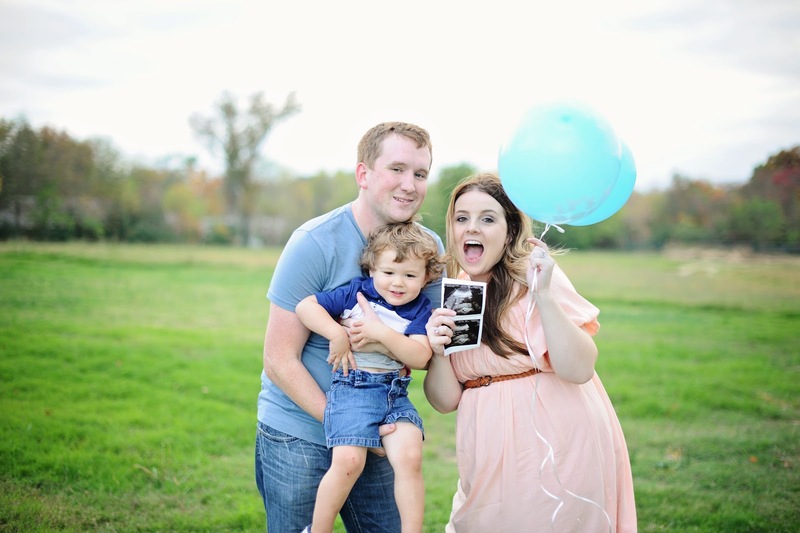 Speaking of baby names... we have one that I think we are pretty settled on... but not quite ready to reveal yet, and we have NO middle name! Ha! This baby naming stuff is hard business! so so fun!! great pics!! YAYAYAYAYAY!!!! You totally called it - didn't you say you thought it was a boy this whole time? So awesome, so exciting!! Huddy's gonna have a best friend for life.